Former President Olusegun Obasanjo is not a man given to flatteries. It’s far easier for him to find faults than to give credit. And there are good reasons for that. His pessimism about politicians has a lot to do with his experience about the affairs of this country. He knows what politicians are capable of doing, and what they mean and not mean whenever they speak. But when such a man commends you, then someone has better start watching you because you may be on your way to the sky. That was exactly how it must have felt for the Abia State Governor, Dr. Okezie Ikpeazu, when Obasanjo came to commission some of his road projects recently. After inspecting some of Ikpeazu’s signature projects, especially the road construction under his urban renewal programme, Obasanjo was lavish in praise. He called Ikpeazu the “visionary performer” and said his people were lucky to have such a committed chief executive. For those familiar with Abia since Ikpeazu came on board, Obasanjo’s remarks were not flatteries. The man simply spoke the minds of the people. And Obasanjo spoke after seeing and commissioning some of the early projects of the Ikpeazu administration. Not only was Obasanjo impressed by the service delivery ethos of the governor, but the former president saw quality jobs done at the lowest affordable cost to the state. Within a few months of coming into office, he delivered seven quality metropolitan roads, a feat that has never been recorded in the history of the state. 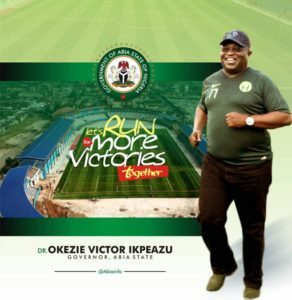 While some governors work very hard in their first year in office and go to sleep for the remainder of their tenure, Governor Ikpeazu’s legs have remained on the pedal since his first day in office. He has constructed 47 major roads across the state, but with particular emphasis on Aba, the commercial nerve-centre of the state. Ikpeazu’s economic transformation plan for the state is centred on Aba being an industrial and commercial hub of not just the state but the entire region. And for a governor with a deep intellectual bent, this is quite understandable. 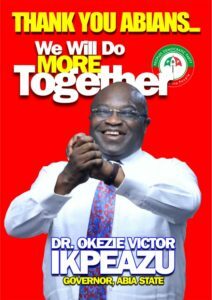 Ikpeazu has repeatedly said every state should know where it has comparative advantage over others and leverage on that. 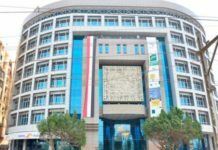 For years, Aba town has fed traders from huge commercial centres like Lagos, Onitsha, Owerri, Port Harcourt, Kano, Kaduna and several others, giving the town and the state a commercial pedigree that is unrivalled in the region. Building on this advantage and supporting the town with incentives such as infrastructure, security and a pool of trained low and middle technical personnel as Ikpeazu is doing is the fastest way of turning around the economy of the state. The governor introduced a novelty in road construction by insisting on the use of cement technology, otherwise known as rigid pavement technology in road construction. The technology entails casting the road with concrete over a mass of iron before asphalting it. It is an innovative engineering technique aimed at extending the durability of the roads. It is also cost-effective. To fully realise his economic agenda for the state, governor Ikpeazu has also put machinery in motion for the launch of the Abia Industrial Clusters project, which will be kick-started from Aba. Efforts are on to procure the appropriate equipment that can match the standard of technological development needed for the clusters. The aim, as the governor has stated, is to mechanise and automate the process of leather-making and other artisan works since Abia is a leading state for technological innovation in Nigeria. The Aba Industrial Cluster would involve 40,000 shoemakers, who are capable of producing more than 1000 shoes daily. This will be complemented with the establishment of trade centres for the revival of old professions such as craft works, carpentry, masonry and so on. Supervisors for the programmes have been brought in from Mexico and the Philippines. The goal is to teach young Abians the rudiments of the old craft works so that the state can produce its household items, instead of the recourse to importation. “To teach such handiwork as carpentry, plumbing, electrical, tiling etc is to help the artisans add some professionalism and education to their trade and we expect that the trade centres will create jobs and empower people with skills,” Governor Ikpeazu said at the launch of the scheme. Unlike most of his colleagues, he believes in the role of the governor as a leader, and not a ruler. His vision for the state is demonstrated through the diverse physical projects of his administration, and more importantly, through the force of personal example-something that cannot be said of many state chief executives. 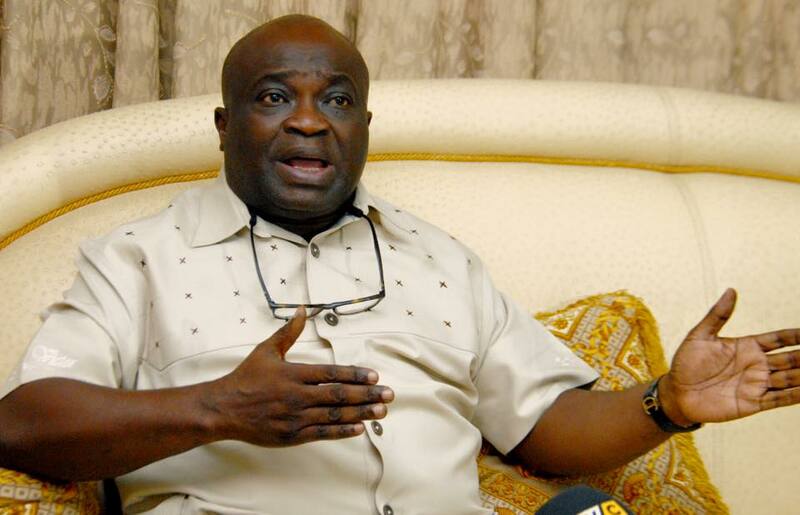 Ikpeazu has been leading the state by showing the way, not by some empty, populist rhetoric. Not only does he patronise Aba-made goods and urges his cabinet to do same. Ikpeazu’s intervention in the education sector is also novel. He chose the occasion of his 51st birthday to launch a scheme to salvage primary education in the state. 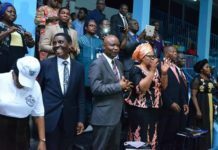 He launched ‘Friends of Abia Schools Adoption Initiative (FASAI)’ with a focus on mobilising funds from well-meaning Abians to renovate dilapidated primary schools in the 17 local government areas of the state. 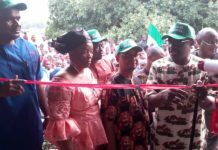 Ikpeazu urged his friends to give a facelift to dilapidated primary schools to turn around their fortunes and give the pupils a conducive learning environment and a sense of belonging. It was a brilliant initiative at a time of national economic recession for one of the poorest states in the country. 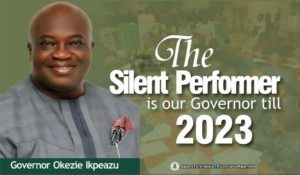 When people talk about the Ikpeazu phenomenon, it is this uncommon, patriotic zeal for service delivery and a knack for thinking outside of the box. Any perceptive observer of governance in this country, especially at the state levels, will agree that these are qualities in short supply. Politicians in the state, used to self-serving criticism of political leaders, have found a way to deny Ikpeazu the credit he truly deserves. 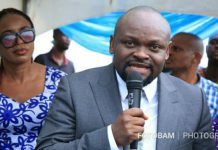 They attributed his success to a desire to win the support of the people in view of the challenge to his victory by the opposition All Progressive Grand Alliance, APGA. 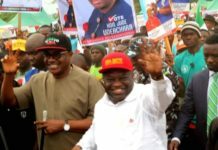 Since the victory of Ikpeazu is still a subject of litigation in the court, professional critics say he is eager to get the people on his side, and that once the case is over and he gets a final victory, he will go to sleep. These are just speculations, perhaps borne out of experience with previous administrations in the state. But the argument is actually in his favour. No matter how much you ingratiate yourself with the people, they cannot save you if the court overturns your election victory. 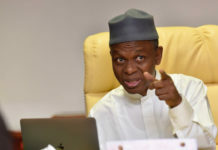 Secondly, when an election victory is being challenged in court, it is a major distraction whether the person is a governor or legislator of local government chairman. Thus, for a governor battling such distraction to be so focussed on delivering dividends of good governance, is not only an inspiring story of leadership, but a phenomenal asset for his people. 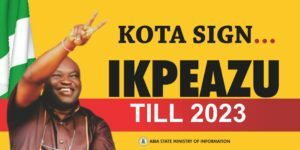 Ikpeazu has found a connection with his people through his vision and the people-centred policies and programmes of his administration. This will explain the outrage felt by people of the state when the Appeal Court overturned his election. His people have keyed in to his vision of growth and their joy will be boundless whenever the Supreme Court affirms him as the duly elected governor of the state. The desperation of the opposition to rubbish his victory and derail the transformation going on in the state is what many hope will fail woefully. If not for anything else, for the sake of the state and its long suffering people.